FBI agent, Malcom Turner, goes undercover as an aging grandmother in this comedic film about fighting crime. He is assigned to catching an escaped prisoner, who goes on an aggressive crime spree. 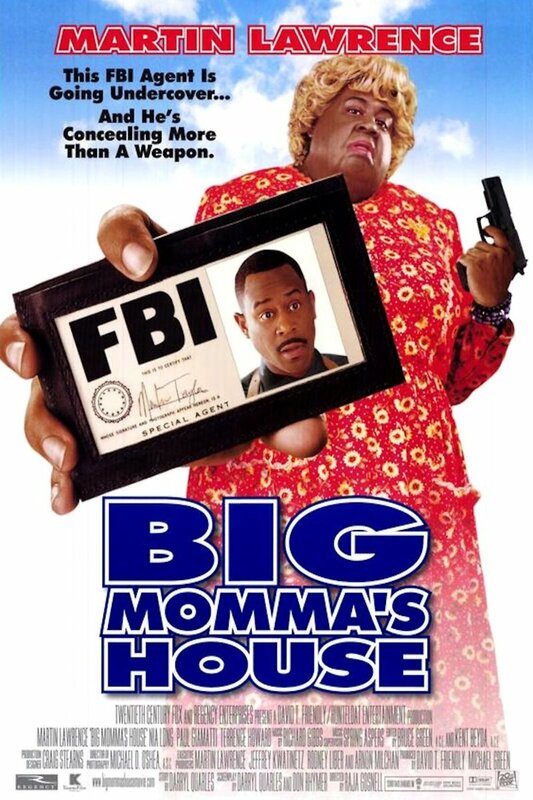 Malcolm decides to setup his stake-out in a small Georgia town at the house across the street from Big Momma's house, the grandmother of the escaped prisoner's former girlfriend, Sherry. Big Momma leaves her house empty right when Sherry comes to visit, so Malcom puts on a fat suit and impersonates Big Momma. Malcolm need to catch the bad guy, but he also wants to win Sherry's heart while convincing her and the neighborhood that he is the sassy, outspoken Southern grandma.